Since when has sunnah become such that it requires a model? Since when has libaasut taqwa (clothing of piety) become such that it is now a label on ones clothing? How time has evolved, that the sunnah libaas was once a way to recognise the believers. But now it has become such that can be adorned by anyone . Every time I hear or read the narration when hijab/niqab was made compulsory, sahabiya didn't delay but immediately covered themselves with sheets. My heart aches with love and admiration for them . But today, 1437 years later this so called ruling of niqab/hijaab has become a fashion statement. When I dress with my jilbaab, it is as if it's something so foreign. That I am asked why do you wear this? And suddenly slim fit cloaks aren't slim fit anymore. There was a time when men who wore a simple kurta with a simple turban etc was admired. But today even the dress of men has become fashionable. Beard was once a sign of the strength of a believing man, men who were companions of the Messenger ﷺ, now muslim men only wear it because it is a fashion. 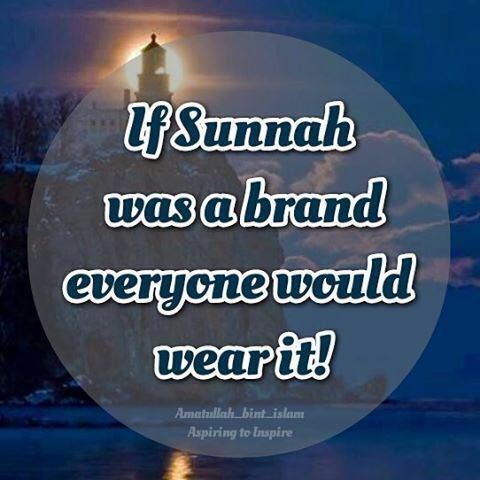 But what can one do besides pray and hope that soon sunnah will be a statement on its own and not a fashion statement. May Allah grant us all guidance and sincerity in our actions. Aameen.